Lewis Rice is pleased to welcome Lindsay S. C. Brinton and Meghan S. Largent to its St. Louis office. The two attorneys will lead the Firm’s Fifth Amendment Takings & Eminent Domain practice. Within the Fifth Amendment Takings & Eminent Domain group, both Lindsay’s and Meghan’s primary focus is representing landowners across the country to pursue their takings claims – often what is commonly referred to as rails to trails takings – against the federal government. Lindsay and Meghan litigate cases in the United States Court of Federal Claims on behalf of those whose property was taken by the federal government and converted to public parks pursuant to the National Trails System Act. The goal is to obtain compensation from the government for the taking of their land. 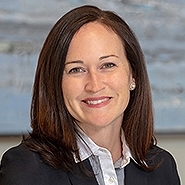 In these cases, Lindsay and Meghan focus on both proving the taking has occurred as well as establishing the value of the property that was taken. 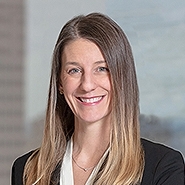 In addition to the Fifth Amendment Takings & Eminent Domain practice group, Lindsay also represents clients in litigated and non-litigated business disputes, and Meghan also focuses her practice on appellate litigation and commercial disputes. Outside of the firm, Meghan volunteers for the Marygrove Young Professionals Board in St. Louis. Both attorneys are volunteers with Legal Advocates for Abused Women. Throughout the Firm's history, Lewis Rice attorneys have made excellence the foundation of their practice. Founded in 1909, more than a century of service gives the Firm the experience, resources and tools to serve our clients' dynamic needs. A diverse team of more than 160 attorneys provides counsel and solutions for the challenges facing local, regional and national businesses, as well as individuals and families. Lewis Rice maintains offices in downtown St. Louis, suburban Town & Country, Washington and Jefferson City, Missouri and Edwardsville, Illinois. The Firm also has offices in downtown Kansas City, Missouri and suburban Overland Park, Kansas.